The National Council for Geocosmic Research (NCGR) is a non-profit organization dedicated to raising the standards of astrological education and research. Though it began as "national," NCGR's current membership of about 2500 includes a growing number of international members. The organization's activities include sponsoring local Chapters (currently 42 located in 26 states and 4 countries). Additionally, several Special Interest Groups (SIGs) cross wide geographical areas to foster dialogue among people of similar astrological specialties. Nicki is a Mentor for NCGR's new Professional Empowerment Program which supports new astrological professionals to create successful practices. The San Francisco Astrological Society (SFAS) is a local group of dedicated astrological students and professionals who meet on the last Thursday of each month for a lively astrological presentation, discussion, and conversation. Meetings take place at Ft. Mason in San Francisco and cost $5.00 for members and $10.00 for non-members. Nicki MIchaels will be the featured speaker on September 27, 2007 on the topic: Astro-Preneur: Do You Have What It Takes to Become A Successful Astrologer? The National Council for Geocosmic Research San Francisco Bay Area Chapter (NCGR) sponsor monthly seminars at Ft. Mason in San Francisco. Prices range from $12.00 - $18.00 depending on whether you've registered in advance and if you're a member. The South Bay Astrological Society (SBAS) is a a group of aspiring and professional astrologers who seek to educate and share information about astrology. SBAS attracts people from the Bay Area, and meets regularly in the Willow Glen area of San Jose. The cost is $5.00 for members and $10.00 for nonmembers. SBAS meetings are held the second Sunday of each month at 1:00 PM. The Mountain Astrologer is widely recognized as the best English language astrology magazine in the world today. It's published bi-monthly and features a huge variety of excellent articles and columns geared to every level of astrological expertise, from the beginning student to the seasoned professional. You can read Nicki's astrological question and answer column Ask Astro-Coach that originated in The Mountain Astrologer, and you can read the archives of Ask Astro-Coach online at our sister site. Kepler College provides a complete educational program in astrological studies that includes all of the benefits of a traditional college education: communication skills, problem-solving skills, the ability to weigh alternatives and think on one's feet. It offers possibilities for combining astrology with other professions, including business, psychology, research, financial planning, science, teaching. Online College of Astrology provides courses designed specifically to guide students on the path to becoming fully qualified professional astrologers -- from the beginner level, through achieving certification from one of the astrological organizations, to training in specialized subjects. 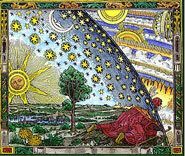 Courses are offered online and are oriented towards the serious student of astrology. Dr. J. Lee Lehman, Ph.D., Academic Dean of Kepler College, offers her own Classical Studies Courses—separate from Kepler. If you are interested in learning the tools for natal delineation, horary, electional, mundane, medical and gaming astrology—all from a classical perspective (from the 17th century back to ancient times), then Lee's rigorous courses cannot be beat. Be prepared to work hard and learn deeply, and then apply what you've learned to 21st century, real-life situations. The background you gain from this level of study is profound. You will become knowledgeable about the history and use of astrology from ancient times to the present, and gain the understanding of why you use particular techniques and not others; you will become a truly educated astrologer. Aurora Press is devoted to pioneering books that catalyze personal growth, healing and transformation. Aurora has kept a number of Dane Rudhyar's books in print including The Lunation Cycle, Person Centered Astrology, The Galactic Dimension of Astrology, The Planetarization of Consciousness and more. Read publisher Barbara Somerfield's insightful Interview with Rudhyar on his 89th birthday, in which Rudhyar describes the development of 20th century astrology and some of the crucial issues surfacing within the astrological community, still relevant today. Audio Acrobat allows professional astrologers to easily record client calls and then download an mp3 file of the consultation. You can also add audios to your web site, all for a reasonable monthly fee. And by signing up with Audio Acrobat from a link on this site, you will help to offset the expense of keeping the Rudhyar Audio Archives available online for free. Check it out! Astro*Carto*Graphy Maps - If you're thinking about relocating, planetary guidance can be very useful tool to choose the best place for you based on your own unique planetary power points. The Astro*Carto*Graphy Map Kit, provides you with a map of the world with your planetary power lines shown, along with an instruction booklet to help you decipher the code. When ordering you must provide your birth date accurate birth time, and location. If you live in the Americas, order from Astro Numeric Service. If you're in Europe, the UK and beyond, order from Astro*Carto*Graphy's U.K. distributor. Wherever you live, if you want professional help in making your relocation decision, Nicki is a Certified Master Astro*Carto*Grapher. Read her article About Locational Astrology and read her analysis of relocation questions from her popular Ask Astro-Coach column or contact her about a Relocation Analysis. Sacred Silks to live with and wear, inspired by the sacred sites of the world. A percentage of the purchase price of their silks is donated to the sacred site that inspired the design. Beautiful scarves, wall hangings, home decorative accessories, men's ties and silk handkerchiefs. "Our mission is to represent every religion by using art from Sacred Sites of the world to inspire our designs, and that through art we will begin to see the similarities in religions rather than the differences." Sacred Treasure House features fine statuary and altar accessories, designed to honor the divine in all traditions. From Shiva to Jesus and Isis to Buddha, they offer icons and offerings to all your favorite deities priced from fifty cents to five thousand dollars. Heart's of Space features "slow music for fast times." It began as a San Francisco late night radio show in 1973, and has evolved into an online music streaming service that allows you to listen to your choice of thousands of hours of incredible music of many genres from all over the world at any time night or day. You can choose from albums, genres, or particular Hearts of Space shows (with or without commentary from host Stephen Hill), and then create your own favorites list to return to. You can read album reviews, musician bios and even order cd's should you wish. This soul soothing world music is well worth the few dollars a month it costs to gain unlimited access. Curious? Try their free section before signing up. Coming soon—an app so you can stream Hearts of Space through your iphone or ipod touch. New Dimensions Radio's Michael Toms says, "It is only through a change in human consciousness that the world will be transformed. The personal and the planetary are connected. And, as we expand our awareness of mind, body, psyche, and spirit, and bring that awareness actively into the world, so also will the world be changed." This enriching radio show has been heard on public radio stations throughout the United States for the past 30 years. You can hear an array of ever-changing, spiritually nourishing and intellectually inspiring interviews of seekers on the forefront of creative, healing, psychological, spiritual, environmental, and scientific endeavors—online, for free. You can also gain access to New Dimensions' extensive online archives by joining the New Dimensions Listening Club, and by becoming a member of New Dimensions to support this non-profit's ongoing work. Listen to Michael Toms interview with Nicki Michaels in June 2006. Spiritual Cinema Circle takes you on a cinematic journey of the heart, mind, and spirit. Many of the best visionary, inspiring movies made each year are never even released, so you never get a chance to see them! The Spiritual Cinema Circle makes them available to you. It's the world's first transformational DVD-of-the-month-club. You get 4 inspiring new films every month, many of them award winning movies you won't see anywhere else—and they're yours to keep or pass on to others in your life to enjoy. The Institute of Noetic Sciences is a non-profit membership organization exploring the frontiers of consciousness. Their uplifting mission is "Exploring the frontiers of consciousness to advance individual, social, and global transformation." IONS is an international network of people pursuing an understanding of uncharted human potential. They sponsor numerous conferences, retreats and seminars each year all over the world, including some in the United Sates. These gatherings provide members the opportunity to hear the ideas of and meet those involved in the pursuit of understanding the interface of science and spirit. Members receive IONS fascinating quarterly magazine, Shift: At the Frontiers of Consciousness, and have access to leaders in the fields of the new sciences and personal/social transformation and more. Your support of this non-profit, helps to create a bridge between worlds of science and spirit, and to further research, and create community that shifts paradigms.